Age appropriateness: Mumia: Long-Distance Revolutionary is not officially rated in the United States. 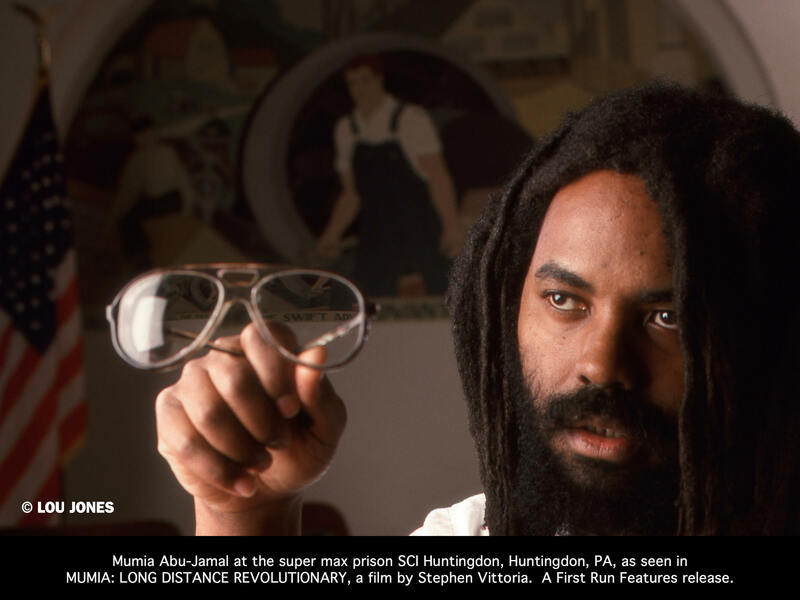 A documentary film using plenty of archival footage, "Mumia" includes some profanity. Considering the subject matter and film format, this is appropriate and should not pose a problem for viewing in high school classrooms. 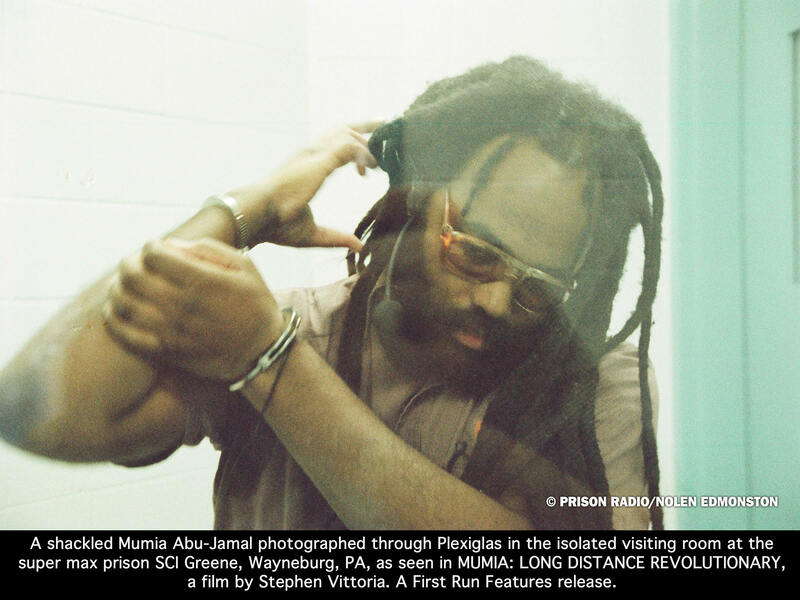 Accuracy: Interestingly, Stephen Vittoria's Mumia: Long-Distance Revolutionary does not contain much of anything related to the actual court case that landed Mumia Abu-Jamal in prison for life. What is presented is the story of the social and political events that went on in Philadelphia which created the climate for the occurrence of the events leading to Mr. Abu-Jamal's incarceration. As such, this documentary film is highly accurate. Click here to enlarge the film poster. Review: Study of the civil rights era in American classrooms tends to end with the assassination of Dr. Martin Luther King, Jr. A few brave teachers may expand upon this, mentioning the Black Panthers, and a name like Angela Davis may slip in. But for the most part, the general idea expressed is that Dr. King marched for civil rights, a few African Americans were upset and rioted when he was assassinated, but everything largely cooled down over the course of the 1970s as blacks began sharing equal rights with whites. Having earned my degree in history, I know that this is not simply an oversimplification, but completely inaccurate. 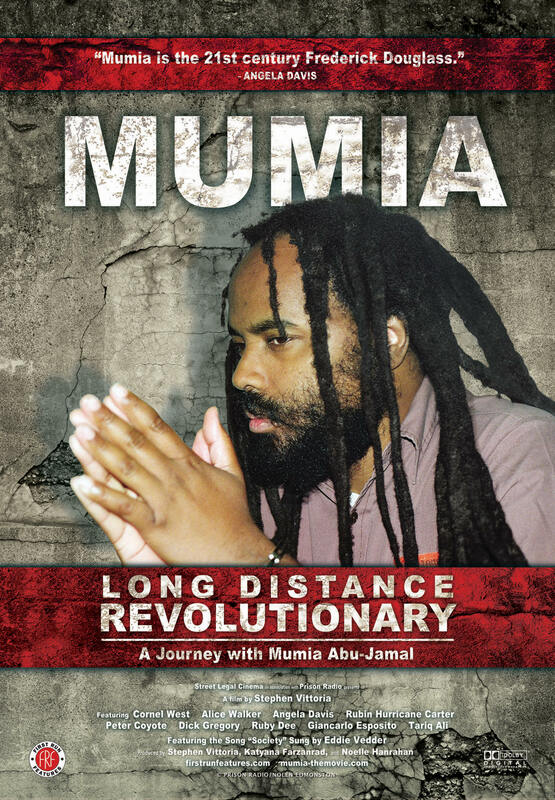 Mumia: Long-Distance Revolutionary is fascinating because it covers the overlooked time period--the late sixties through the seventies--by examining race relations within the northern U.S. city of Philadelphia, a place not popularly associated with racial injustice. Early in the film, racial sentiments in the City of Brotherly Love are exemplified by the fact that Rocky Balboa, a fictional character, has a statue in the city, while actual resident, boxing legend Joe Frazier (1944-2011), does not. We are then confronted with the image of Frank Rizzo (1920-1991), who held the position of city police commissioner (1967-1971) before serving two consecutive terms as mayor (1972-1980). Rizzo is a controversial figure, charged with aiding and abetting police brutality by the federal government, and loathed for his treatment of members of the black power movement, while simultaneously responsible for creating one of the most racially diverse police departments of any major U.S. city. Born Wesley Cook in 1954, Mumia became attracted to the black power movement after being assaulted by police officers during a protest against George Wallace's presidential campaign. At only fifteen years of age, this bright young man was traveling the country and writing articles for the newspaper run by the Black Panthers. He briefly attended Goddard University in Vermont before returning to Philadelphia, eventually finding a voice as a no-holds-barred radio journalist. His unwillingness to conform, along with his allegiance to his strong political beliefs, left him with a need to supplement his income. It was thus that Mumia Abu-Jamal found himself moonlighting as a taxi driver in 1981, when a traffic stop left him charged with the murder of police officer Daniel Faulkner. 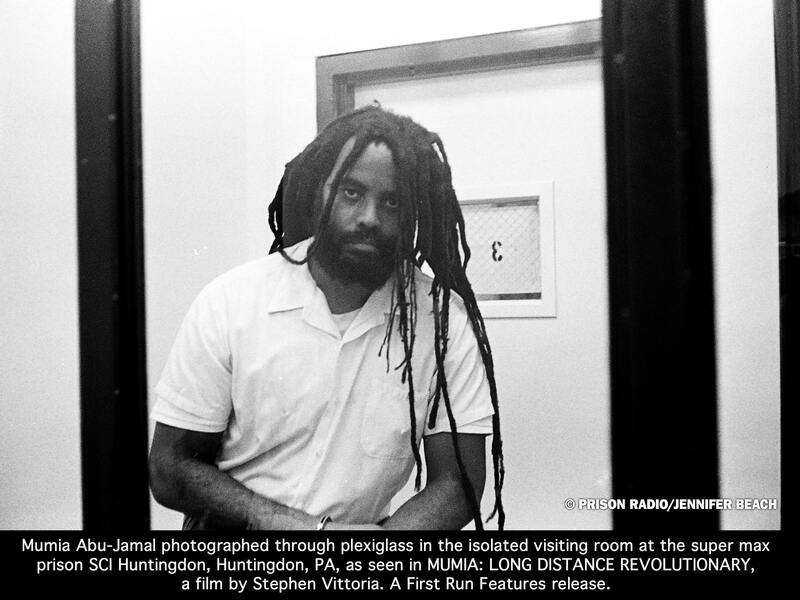 Mumia Abu-Jamal through plexiglass in prison. 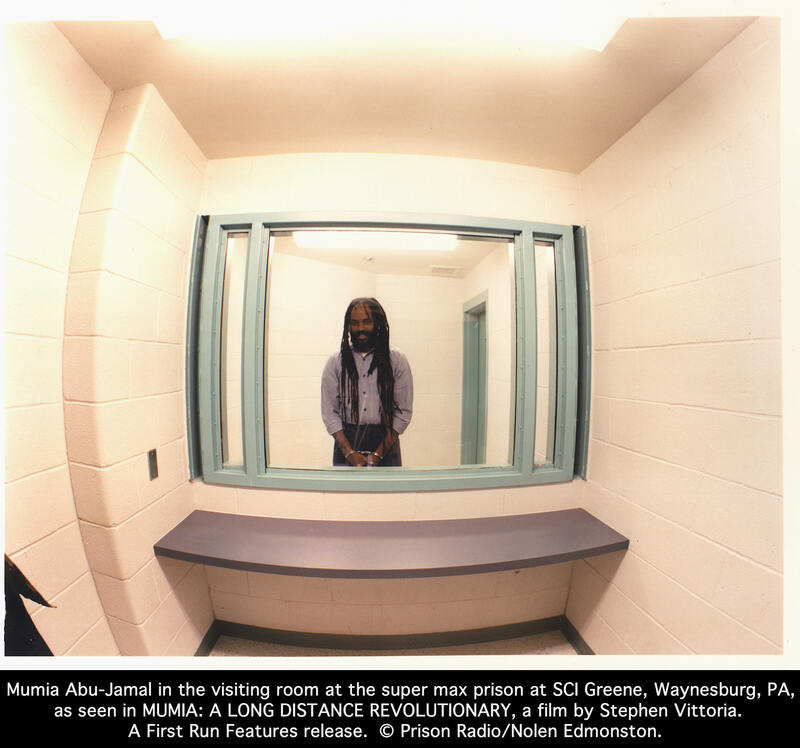 Mumia Abu-Jamal at SCI Greene in Waynesburg, Pennsylvania. Mumia Abu-Jamal Stephen Vittoria Mumia Abu-Jamal shackled in prison. Without question, Mumia's case is highly controversial. As seen in the film, many residents of Philadelphia believe that he is guilty and should be executed for the crime. Others believe that he is innocent, was framed for the murder, and should go free. 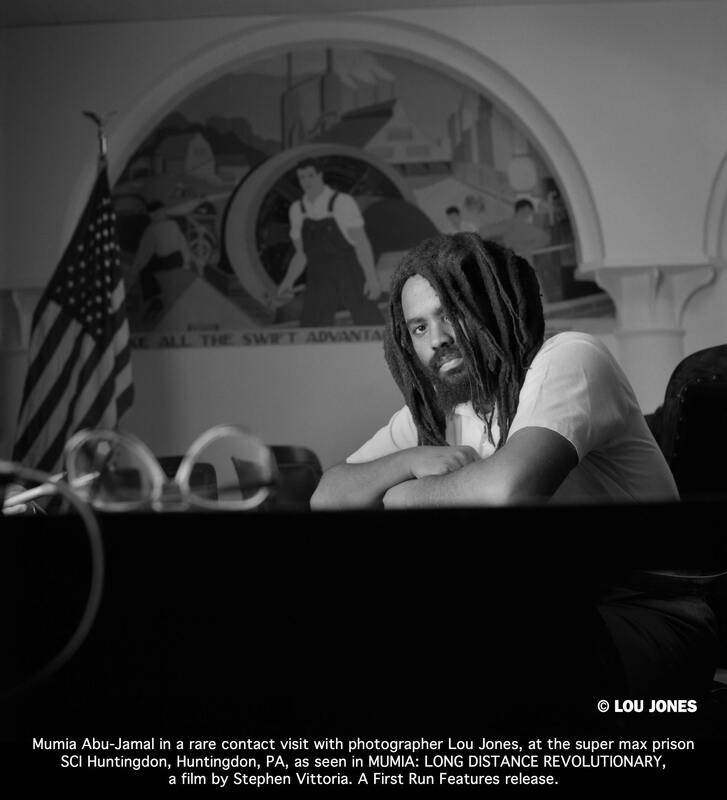 Since Mumia began writing from prison, his case has garnered him international recognition. The city of St. Denis, France, even named a street after him. Well-respected writers and academics, including Dr. Cornel West (Princeton), Alice Walker (Pulitzer Prize winner for The Color Purple), and Angela Davis (University of California, Santa Cruz [retired]), have risen to Mr. Abu-Jamal's defense. 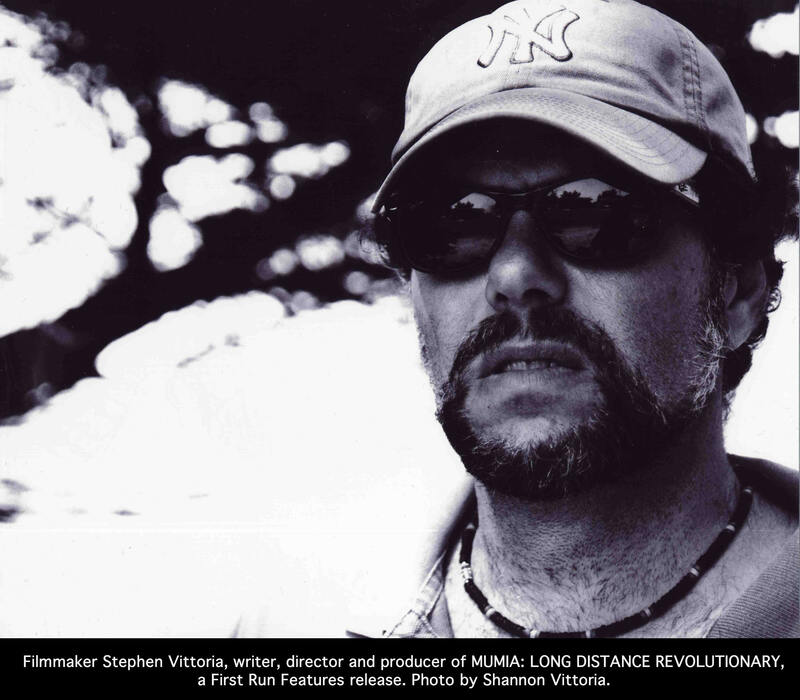 Filmmaker Stephen Vittoria's decision to not delve into the details of Officer Faulkner's murder is as much exasperating as it is refreshing. A fan of crime shows, as many of us are, I want to have every fact, detail, missed clue, and bit of evidence laid out before me. Yet I understand the desire to fully present Mr. Abu-Jamal as a human being. Indeed, up until the murder is quickly described in the film, it is hard to imagine how the subject could have been found guilty of jaywalking, let alone killing another human being. I highly recommend Mumia: Long-Distance Revolutionary as a starting point for a discussion of race relations in the 1970s. Although I could live without the spoken word monologues interspersed throughout the film, it's the sort of thought-provoking documentary that will really get students excited about studying American history. It's hard to imagine anyone not wanting to google Mumia's case after watching this film. Vittoria's film will make a great discussion tool in the hands of the right teacher.